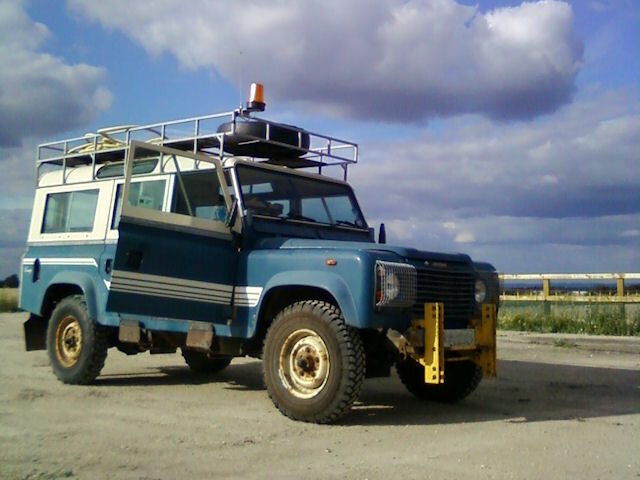 Ah, what would we do without the trusty Land Rover! The amount of hauling of equipment, supplies, people, rubbish, tools and so on has been incredible. Well, at the end of July, with the site mostly clear and bulk of the messy work done, the local Chilbolton staff gave it a thorough wash and clean! Caption : Sun-glasses are now required.